The name is derived from the Romanian word moină, which means fallow or light rain. Moineşti once had a large Jewish community; in Jewish contexts the name is often given as Mojnescht. Moinesti is situated on the Trotuş River on the eastern slopes of the Carpathian Mountains. A little further to the west is the region of Transylvania. Bordering the Moldavian region to the east and across the Romanian border is the Republic of Moldova, part of Moldavia in the Middle Ages and later known as Bessarabia. Of the two Jewish cemeteries in the town, somewhere between 1000 and 5000 tombstones (most of which are toppled) attest to a Jewish population that persisted from the early 18th Century until the Holocaust. The earliest tombstone was dated by a visitor to 1740 (fourty years before the town was first chartered, source). Even older stones may be undateable due to erosion by vegetation and the elements. Tristan Tzara, aka Samy Rosenstock, Yiddish and Hebrew poet. He was born in Moinesti, Romania. In 1912, he began to publish poems in a symbolist style, which were to be highly influential in Romanian poetry. In 1916 he moved to Zurich, Switzerland, where he was among the founders of Dadaism, the name of which was derived from Tzara opening a dictionary and choosing the first irrelevant word. Dada was a nihilistic revolutionary movement, aimed at demolishing the values of modern civilization. Tzara was considered the movement’s most articulate exponent, expressed in his Romanian and French poems (he lived in Paris from 1919). As the avant-garde turned to Surrealism, he joined forces with that group and his work became more contained and sober. In 1935 he joined the Communists and during World War II was active in the underground in France. Binyamin Zeev Ehrenkranz (aka Velvel Zbarazher, 1819-1883), a colourful Yiddish singer/comedian originally from Galicia, settled in Moinesti for a while. Samuel Grinberg (1879-1959) – the first Rabbi confirmed by F.C.I. Bucharest and by the Ministry of Cults. Pic G. Adrian (Pincu Grinberg), poet, plastic artist and art critic, settled in Barcelona. Samuel Grimberg, poet and writer, precursor of the Poalei Tzion movement. Charles Davison (b. 1891, in Moinesti): neuropsychiatrist, neuropathologist, and educator; worked for several hospitals in Pittsburgh and taught at Columbia University; contributed more than 100 articles to medical journals. More Jews from Moinesti can be found on the Moinesti page at the Romania’s Jewish heritage web site. This page includes some brief and casually organized details of the Jews of Moinesti from what looks to be oral histories. Moineşti was also the birthplace of an important proto-Zionist enterprise. In the late 19th century, Jews from Moineşti and soon after, Bacău, founded the first two Chovevei Zion colonies in Palestine in 1882: Rosh Pinah and Samarin. Overlooking the Mediterranean, today, Samarin is known as Zikhron Ya’aqov (זִכְרוֹן יַעֲקֹב), the home of Carmel Winery. Here is a panorama view of the lands near Rosh Pina taken by resident Itamar Aratiya at the website trekearth. Zionist enterprises paralleled the influence of the Haskala. In 1910, Moineşti opened it’s first school for both boys and girls learning together. The building also housed the offices and meeting room of the B’nai Brith. There were also some Hassidim in Moineşti. My great-great grandfathers were quite bearded but there’s no way I can know whether they were Hassidim, but then again maybe they were. It gives me so much pleasure to know that a niggun survives from the daughter of a Breslover Hassid born in Moinesti. The tune appears on the album, A Mazeldiker Yid, by the Klezmer roots band, Di Naye Kapelye. This melody was learned from the singing of Cili Svarts, the wife of Itsik Svarts, the Yiddish writer, teacher, and former director of the Yiddish theater of Iasi, Romania. A schoolteacher, avid singer, and formidable baker of kosher soda cookies, Cili was born the daughter of a Breslover Hasid in Moinesti, Romania, in 1915. This was her favorite melody. She learned it from her uncle Alter Baris who worked as a forester in the Bosnian town of Zavidovich before the First World War. 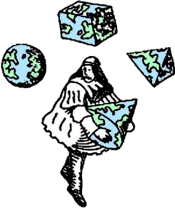 Whether Sephardic or Ashkenazic in origin, we play it as a slow hora. Sadly, Zavidovich was largely destroyed during the Bosnian War, as was my maternal grandmother’s birthplace, the nearby town of Travnik. We hope this melody serves to honor the memory of Bosnia’s Jewish culture, and as a loving tribute to the memory of Itsik and Cili Svarts. My great-grandfather, with his parents and children left Mojnescht around 1911 (+/-2 years) for Montreal, Canada. The only thing recalled by one of my grand-uncles was that the town had constant and loud sounds of pounding. What an incredible detail! 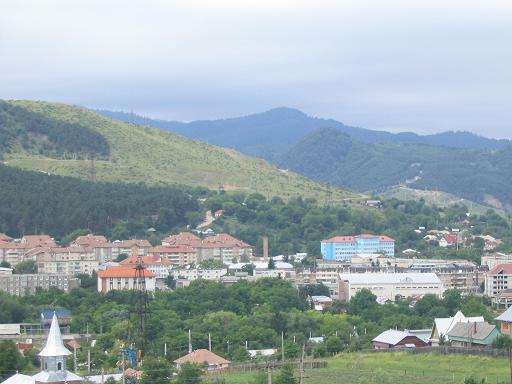 At the time they left, Moineşti had just begun to be a center for oil exploration in the Carpathian Mountains. 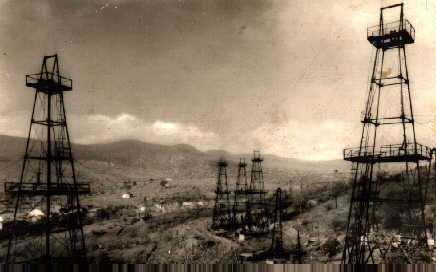 Below is an undated photo I found of the oil wells in Moineşti at a Romanian website. According to one source, the Jews from Moinesti were the owners of some of the first oil distilleries in Moldavia. Steaua Romana, a Romanian oil company had “access to extensive oil deposits in the Eastern and Southern Carpathian Mountains” (source). These deposits were acquired in 1903 when Deutsche Bank purchased Steaua Romana. By the onset of WWI in 1914. Steaua Romana had become “the largest and most important production plant in Romania” (ibid). To the right, is an undated drawing of the Steaua Romana’s oil field at Moineşti (probably circa 1910). Moinesti’s history in oil extraction is preserved iconographically in the City of Moinesti’s seal. Monesti Jews were also active in the local timber industry. No details are remembered why my family left but perhaps they simply became terribly saddened as the small town atmosphere of Moineşti in the midst of the Carpathian Mountain forests was transformed into a hellish and polluted industrial extraction point for oil. That, combined with the precarious position of Jews in Moldavia, probably convinced them to leave, as many, many other Romanian Jews had in the preceding years. (40,000 Romanian Jews left for America between 1880 and 1910). Social conditions in the region had been deteriorating on the national level. For my family, the critical event preceding their departure may well have been the Kishinev Pogrom in 1905, the first state-inspired action against Jews in the 20th century (source). Widespread impoverishment and pogroms during the late nineteenth and early twentieth centuries led to large-scale emigration. The most notorious pogrom occurred in 1903, apparently with the support of the Russian Ministry of the Interior, led by Vyacheslav von Plehve. The attack occurred on Easter, April 6 and 7, spurred by a blood libel campaign in a prominent newspaper. According to official statistics, 49 Jews were killed and another 500 were injured. Material losses from property destruction and looting were enormous. About 2,000 Jews were left homeless. Another pogrom occurred on August 19, 1905, in which 19 Jews were killed and 56 were injured. Of course, other parts of my family remained, most of whom were lost in the Holocaust. According to a cousin, a few survived and their descendants are living in Israel. 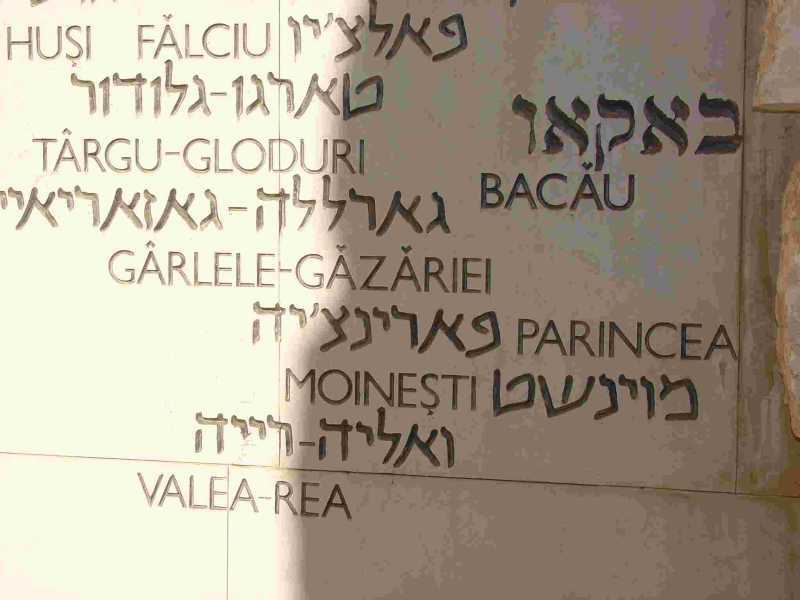 Below is a memorial at Yad Vashem in Israel inscribed in Hebrew and Latin characters with the names of Bacau and Moinesti. An exhibit on the Jews of Romania, with a section on Moldavia, can be found here. “From Moineşti” is shared by Aharon N. Varady with a Creative Commons Attribution-ShareAlike 4.0 International copyleft license. The data on Moinesti is interesting but I would like to point out that Moinesti has nothing to do with Bessarabia. 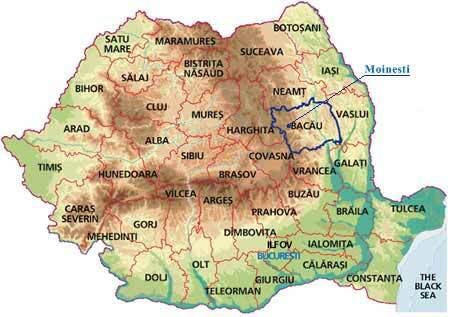 Moinesti has always been in Moldavia, under Turkish suzeranity until 1859 and then part of the kingdom of Romania. There was Russian influence mostly between 1812 and 1859 but the tradition of Jews in Moinesti was quite different than of those in Chisinau which were , to a large extent, Russified following the long Russian rule 1812 – 1918. I mean, the educated Jews which in Iasi, Botosani, bacau, Moinesti etc were very much of Romanian culture rather than Russian as was the case for most Bessarabian Jews. I am from Moinesti-Bacau and i think , now , there are only a few jews in Moinesti , about a maximum of 6 i think which have some of the power in the city … Still the power is shared somehow between the gypsies which flourished in their own filth , and this caused more because of the bad administration of the past mayors … The only things that remain in this city are the very talented and smart children with the burning desire to study in big places like : Bucuresti, Iasi, Brasov , Sibiu , etc … It’s a place full of ideas and potential but unfortunately corrupt by those who have power , and by power i mean money and nothing else . It brings lot of happiness in my heart seeing that some people keep a good track of their roots . @Alex: It disturbs me to no end reading this vile hatred towards the Roma (Gypsies). It is only too easy to imagine a similar statement being made when Moinesti had more Jews living there and directed instead towards them, as sentiment was in so many other places including Bacau province. so why did you say Roma gypseis? The most important project is to preserve the cemetery and a Jewish culture (Moinesti is the oldest city in Romania where Jewish people go to Israel). Please find a joining form in attach and if you can, please send my e-mail to many, many peoples around you. Please find some pictures. In the pictures you see the neglected condition of the cemetery, the synagogue that needs repair. If you are interesting, contact Mrs. Dr. Ing. Joséphine Kohlenberg. And here I want to present http://leolam-jewish-heritage-foundation.blogspot.ro/ , where you find the achievements and the projects of the Foundation Leolam. ciao,io sono di roma ,mentre mia moglie è di moinesti…plaudo ai progetti di conservazione della memoria storica riferita alla comunità ebraica.a mio avviso I discendenti dei primi coloni che fondarono rosh pina dovrebbero incentivare di più I rapport con l’amministrazione cittadina di moinesti con iniziative culturali tese a non far dimenticare ciò che fu…io non sono di religion ebraica ma inorridisco quando vengo a sapere ciò che avvenne negli anni bui dell’europa e ciò che patirono milioni di esseri umani diversi solo per fede religiosa…mi auguro che gli uomini sappiano imparara qualcosa negli anni a venire…ho una richiesta da fare…continuate sempre a parlare di ciò che fu….